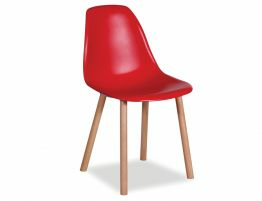 Put this stunning, modern retro red chair in your dining room or as a funky desk chair. Bold, fiery, fun and dramatic all describe this imaginative reworking of a mid century modern classic. 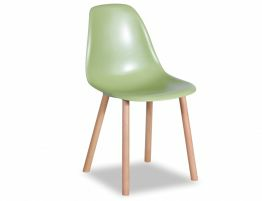 Our Canndale moulded chairs work very well as modern dining chairs or attractive, accent chairs, even red kitchen chairs. Our reinvented shell chair offers a study in contrast by the pairing the iconic shell of an Eames moulded classic chair and the solid, light toned legs in beechwood. The Relax House innovative original red dining blends the technologically innovative shell of an Eames with the base of Jasper Morrison’s Hal chair for a creative deconstruction of old and new. 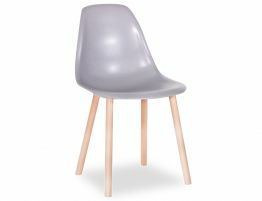 The Relax House Canndale chair features a shell moulded of ABS plastic and the smooth, formed shell sits atop solid Beech wood legs which haves 3 colour options to best suit your home. 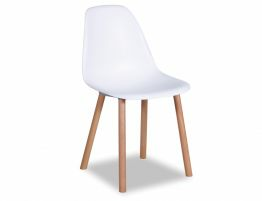 Get the dining chair that is as unique as you are.